Is Your Employee Handbook Helping (Or Hurting) Your Retention Rate? It’s hard to recover from a bad first impression. Online daters know this. Job applicants do, too. So why don’t employers? 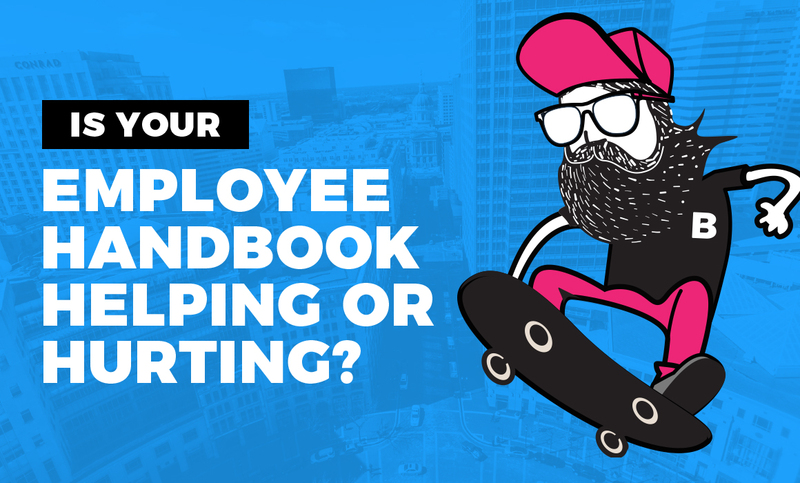 Since a positive (or negative) onboarding experience begins with your employee handbook, it’s crucial you understand how it can help or hurt retention rates. Why should you have an employee handbook in the first place? It introduces employees to your company and defines and establishes your company culture from the start. When you set clear expectations, you avoid initial confusion and ensure the new employee feels connected to goals, values, and workplace culture. How do you define success at your company? What are your common goals? The answers to these questions should be thoroughly explained to help new team members understand where the company is, where it’s going, and how they’re going to help it get there. If your handbook doesn’t align with what an employee was told in an interview or read on your website (or even worse, with their experience), it can be a red flag. Your marketing materials are professionally written, designed and carefully formatted — why isn’t your employee handbook? From mountains of text to ill-placed information, a sloppy handbook can indicate your company doesn’t invest in its employees (or care what they think). Your HR team is great but an experienced copywriter can write (or rewrite) your handbook so it draws new hires in and conveys your brand’s voice and their design partners can create a look that supports your company’s hiring and retention goals. Your employee handbook reflects your company’s beliefs and behaviors. If it becomes outdated, inaccuracies can signify that management is unorganized. A regular review of your handbook will help make sure information remains relevant and avoid the awkward scenario where a new employee reads one thing, but experiences another. It’s also the kind of practice that will keep you sharp in other areas of your business. Typos and grammatical errors will make any company seem unprofessional, but they’re also easily avoidable. HR managers should not be the only ones reading and reviewing content before it’s presented to employees. Ask your expert editors on staff to provide final approval to ensure multiple people have checked — and double checked — that your handbook is free of typos and other embarrassing errors. >> RELATED: Is Your Diversity & Inclusion Program Age-Appropriate? An employee handbook is a living document. Whether you’re creating your first handbook (or revising an existing one), having a review/audit process will ensure your document is working for — not against — your company. With a little creativity and attention to detail, your employee handbook will be a tool that helps employees feel empowered, inspires loyalty, and fosters a deeper understanding of your company and its culture. Want to create an employee handbook that sets up your employees for success? Email me or call 317-631-6400.